The DVD is in German language! Dances and movement games from around the world, including lively children’s songs, spirited African dances and tranquil group dances with a spiritual background. Hagara in her element! Step-for-step, Hagara provides clearly understandable instructions to build up the voices and movements for each dance, illustrating them with a group of 6 women and 4 men. Her many years of experience are clearly visible. Lyrics and chords are overlayed on-screen. It’s fun! That’s the message which is easy to see and hear! Ayelevi – Clapping song and dance from Africa. Traditional. Earth My Body – Native American dance. 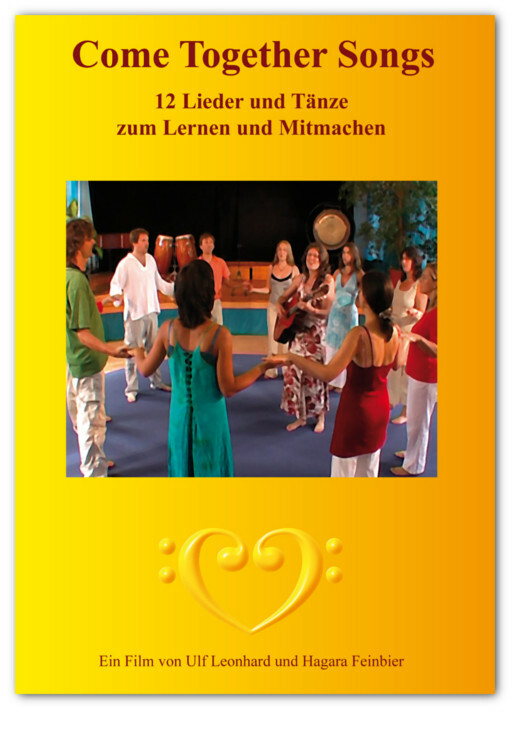 Nimm den Schuh – Rhythmic children’s game. Traditional. Ya AzimSufi – Come together dance. I salute the divine within you! Mama Africa – Clapping song and dance from Africa. Traditional. E Malama – Blessing song for Mother Earth from Hawaii. So hoch in den Himmel – Canon with movement. Shalom Chaverim – Canon from Israel – Come together dance. Navajo Stone Game – Navajo children’s game. Bismilla – Sufi circle dance. Unity, mercy, compassion. Thanda Umelwane – Greeting song and dance from South Africa. From you I receive – Sufi, come together dance. This Product was added to our catalogue on Tuesday 01 March, 2016.